As we celebrated the New Year and looked back at how fast 2018 went, is just an eye opener. I know that some of us want to start the new year fresh. My #1 priority for the new year is getting more organized, productive and setting goals. I can’t stand the whole new year’s resolution list, I preferred setting goals that I know it will get accomplished. I feel that when you set goals, it gets more accomplished than a resolution list. I use to be one of those girls that’ll make a resolution list which literally lasted me three weeks tops. Like many of us, we lose interest in our so call resolution list. I will share tips on How to start your fitness goals for the new year to help you get a kick start. First thing I do get a Planner, I’m old school and I need to physically write all my agenda, to do list, and appointments. Is the only way I can stay focus and on top of all daily agenda. I’m in LOVE with The Happy Planner, this was the best investments I ever made because you can customize by adding fillers to your everyday needs. I was first introduced to The Happy Planner by a co-worker, she saw how I would use the free union calendar book and suggested I get a more productive planner. As a busy mom, I needed more than just a union calendar book. What I love about The Happy Planner is not only a calendar but you can create a part journal. There are cute fillers such as stickers, To do list, notes and much more where you can keep track of deadlines and meetings. The fillers have positive messages for monthly motivation. There are also fitness fillers, to keep track of your fitness journey. Write down your fitness goals on what you want to achieve. Be patience, Take your time to achieve your fitness goals. (remember it’s not going to happen overnight) but don’t give up. Life will throw you curve balls that you will easily find yourself giving up but don’t. Have a fitness backup plan, as I call it. Whether you get stuck at work you feel too tired to workout and to go to the gym you’ll have a backup plan to make up for the workout. If you are a busy mom, and can’t or don’t want to do the gym membership but is serious about getting fit there are ways you can achieve your fitness goal. I’m a frequent gym member but is only because at work we have a gym. But I was one of those that as soon as it was January 1, hit I enrolled in a gym to find myself a few months down not going and stuck with a membership contract. If you can’t commit to the gym now, then think about whether is worth paying a gym membership. Fitness Apps are a way to go if you can’t commit to a monthly gym membership. I listed the three Fitness apps I used and love. I am not a medical doctor or Registered Dietitian. The information presented on Uniform-Beauty is purely to share my experience and for entertainment purposes. As always, check with a physician or other healthcare professional before making any fitness or nutrition changes and starting any exercises or fitness program to determine if it’s right for your needs especially if you have any medical conditions or past injuries that could potentially be made worse by exercise. The author and blog disclaim liability for any damage, mishap, or injury that may occur from engaging in any activities or ideas from this site. Aaptiv’s is a fitness app where you can pick from workout classes with a huge selection of trainers that you can do on your own fitness level. This app will keep you motivated to reach the fitness goal you want to achieve and every week they add new options to meet your fitness level. 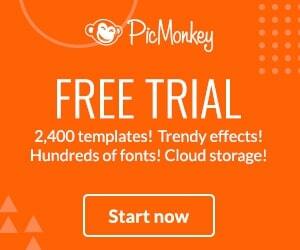 Download the app and sign up here. Cyberobics is a fitness app with tons of workout and trainers. This app you can workout at home or in the gym whatever fits your schedule that day. You won’t be bored and they have different of workout to choose from depending on your fitness level. Adding supplements to improve your weight loss in your daily intake, will help you become the best version of yourself but in a smart and efficient way. Supplements can give you that extra edge to burn fat, muscle recovery and gain lean muscle. But you have to use the one that work best for you and your body. I buy all ,y supplements from Protein powder to vitamins at Bodybuilding.com, they are very efficient, budget friendly and once you place your order your takes them a day to get it together and they ship it out the next day. You don’t wait weeks for your orders. Idealfit is a supplements site for women. I ‘ve used some of their products and I have no complaints, their protein shakes taste amazing they do contain soy, so before purchasing any of these product make sure to read the nutrition facts. 1. Get into a healthy nutrition plan, if you are going to do Keto or Paleo, please do the research on what it is about. I’ve seen many people jump into a diet and is not for them and they easily give up. 2. I know some of us are a bit stubborn in seeing a doctor, boo is about that time. If you don’t see a doctor annually, go see one. I hate to say this but we live in such a toxic world than when it comes to illness it doesn’t discriminate by age, gender or ethnicity. So go schedule your annual, physical, ob-gyn, and mammogram appointment. Health comes first. A great place to search for doctors in all fields is ZocDoc. 3. As a busy mom, is hard to get the healthy eating down pack because we might not have the time to hit the organic market or for some can be too far. 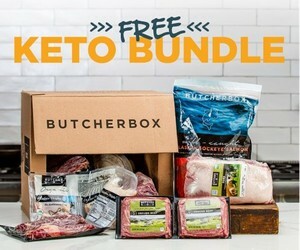 If online shopping works for you, then Thrive Market and Butcher Box is for you. Thrive Market is an online market place that sells natural organic food at wholesale prices. If you shop at Wholefoods, Cotsco and Bj’s, Thrive Market is a combination of the three. Before I moved, I was very close to Cotsco, Wholefoods, and Bj’s so it was very convenient to buy organic and big bulk. Where I’m at now it’s very difficult to get to these stores so right now shopping online for some organic products works for me. Thrive Market charges a membership fee of $59.95 per year, just like Bj’s and Cotsco once you sign up it comes with a 30 days trial when you make your first purchase. A carefully-curated library of simple, nutritious, whole food recipes, beautifully formatted in 12 digital cookbooks. An easy-to-use index for every single recipe, to help you sort by food allergy, eating style, quick meals, cooking method, and more. 30+ unique made-for-you meals plans complete with grocery lists and prep reminders (4-week dinner plans, school & work lunch plans, breakfast rotations, party plans, and more!) Meal planning printables for those who love paper & pen and creating their own custom plans. Plus healthy eating resources on clean eating, a flavor crash course (so your food tastes ah-ma-zing! ), strategies for helping kids with pickiness, allergies or oral SPD, and more! No need to search Pinterest for recipes, only to find yourself emerge an hour later from the rabbit hole. 😉 With the Healthy Meal Planning Bundle, you’ll have hundreds of recipes available in one place, so you can find what you need quickly, without distraction. Make those dominos fall and start your New Year right by picking up your copy of the Healthy Meal Planning Bundle right here. Choosing the right lunch bag can be tricky is finding the right size that will meet your health and fitness lifestyle. I have 2 bags from 6 Pack Fitness and I absolutely love. I can fit all my meals, my shaker bottle, my protein powder dispenser, and vitamins. These bags are very durable and so are their food containers. They don’t leak and keeps food nice and tight. 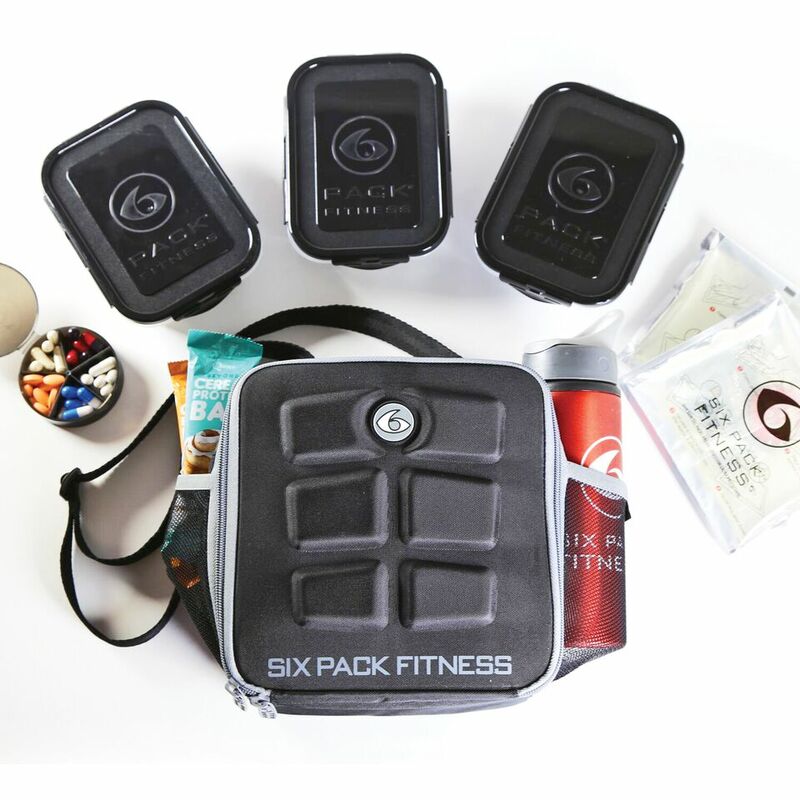 6 Pack Fitness, have a variety of small to large meal prep bags and food containers. Become part of the YogaClub tribe today and get a free pair of leggings added to your first box! Old Navy: 2 Days Only! Old Navy Active Pants, boys $10, men’s $12. Can’t wait to wear it? Buy online. Pickup in-store. All Old Navy Active on sale up to 50% off at OldNavy.com. In-Store & Online. Ends 01/06. Gap: 40% off your purchase including markdowns! Use code SALE at gap.com! Restrictions apply. Ends 01/07. Well ladies here you have it, some tips to get you motivated and started on your fitness goals. I know is hard to start the journey of fitness, especially working mom and stay at home moms. If you’re really serious about making a positive health change then do it. Always consult your physician first. Find that strength and determination to achieve your goals. Just don’t give up, your health is the most important aspect of your life so you can be there for your family. I know you can make that healthy lifestyle change. What was your New Years Goals? What are your plans to accomplish your health and fitness goals? Love to hear all about it, email me. Ever since I moved out on my own, I’ve done meal planning. It saves me money and space in my small apartment, which are the key factors for me. But it also helps me avoid junk food impulse buys and eating too many meals made up of convenience foods. Saves MONEY.. Plus You know what you are eatin. With all the nasty thing you see on TV or even your own experiences eating out makes you think twice. I love meal planning because gets me to clean eating state of mind and not the snack junk food eating. Thanks for reading. Saves MONEY.. Plus You know what you are eating. With all the nasty thing you see on TV or even your own experiences eating out makes you think twice. I love meal planning because gets me to clean eating state of mind and not the snack junk food eating. Thanks for reading. I need all the workout tips I can get. Lol. This is just one area I cannot (or will not?) fit into my schedule. I have tried to add a simple workout routine into my day before but I can’t seem to stick with it. Probably because I don’t make it a priority. I’m not going to lie and say its easy because it’s not. Trust me I’ve been there, but if getting healthy is on your list make it part of your priority list. The trick to it is somehow incorporate it in your schedule, for ex: if you could only workout 3x a week pencil it in your schedule and stick to it. Once it becomes part of your daily or weekly routine is a matter of getting use it and you’ll see how it will become part of your must TO-DO list. I love this post! I will be blogging about fitness on my blog too and found myself nodding along to everything you said. Particularly how busy the gym has been these first few weeks of 2019. I totally said the same thing about goals over resolutions. I have all of my fitness goals on my vision board and wrote specific goals on my phone’s note app. One of my big goals is to get my mile at or under 10 minutes! You are more likely to keep up with goals as long as it’s measurable. Great post!